There are several possible reasons why your monitor isn't displaying information, so it's very important that you step through an ordered process like the one outlined here. If your computer is, in fact, showing information on the monitor, but is still not booting fully, see How to Fix a Computer That Won't Turn On for a better troubleshooting guide. Fixing a computer with this problem could take anywhere from minutes to hours depending on why exactly the computer isn't displaying anything on the monitor, which we'll figure out as we troubleshoot the issue. Before you begin more complicated and time-consuming troubleshooting with the rest of your computer, make sure your monitor is working properly. It's possible that your computer is working fine and your monitor is your only problem. Verify that your PC has fully power cycled. In other words, make sure your computer has completely restarted — ensure that it's coming on from a completely powered-off state. You can power off your computer completely while in a power saving mode by holding the power button down for 3 to 5 seconds. After the power is completely off, turn on your PC and test to see if it will boot normally. Troubleshoot the cause of the beep code if you're lucky enough to get one. A beep code will give you a very good idea of exactly where to look for the cause of your computer turning off. If you don't resolve the problem by troubleshooting the specific beep code, you can always return here and continue with the steps below. Clearing the BIOS memory on your motherboard will return the BIOS settings to their factory default levels. A BIOS misconfiguration could be why your PC won't start up all the way. If clearing the CMOS does fix your problem, make sure any changes you make in BIOS are completed one at a time so if the problem returns, you'll know which change caused your issue. Verify that the power supply voltage switch is set correctly. If the input voltage for the power supply is not correct (based on your country) then your computer might not turn on completely. There's a good possibility that your PC wouldn't power on at all if this switch is wrong but an incorrect power supply voltage might also prevent your computer from starting properly in this way, too. Reseat everything possible inside your PC. Reseating will reestablish the various connections inside your computer and is very often a "magic" fix to problems like this one. Be sure that all the cables are connected correctly. For example, if the onboard video card has been disabled, plugging a VGA cable into it will result in nothing on the monitor even if the computer is powered on. In this case, you'd want to plug the VGA cable into the correct video card. Unplug and reattach your keyboard and mouse as well. There isn't a great possibility that the keyboard or mouse is causing your computer to not turn on fully but we might as well reconnect them while we're reseating everything else. Check for causes of electrical shorts inside your computer. 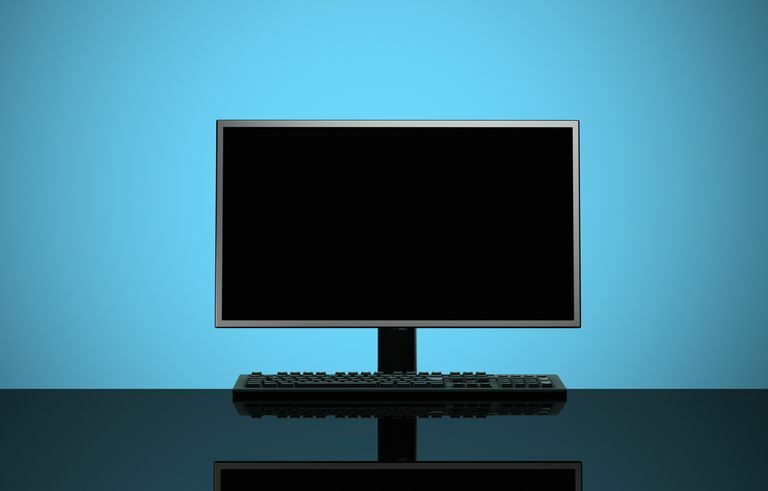 This is often the cause of the problem when the computer powers off by itself, but certain shorts can also prevent your computer from booting fully or showing anything on the monitor. Just because your computer's fans and lights are working does not mean that the power supply is functioning properly. The PSU tends to cause more problems than any other hardware and is often the cause of a computer not coming on all the way. After replacing the power supply, assuming you do, keep your PC plugged in for 5 to 10 minutes prior to turning it on. This provides time for some recharging of the CMOS battery, which may have been drained. We want to make this point very clear — do not skip a test of your power supply thinking that your problem can't be the PSU because "things are getting power." Power supplies can work in varying degrees — one that isn't fully functional needs to be replaced. This step is easy enough for a novice to complete, takes no special tools, and could provide you with a lot of valuable information. This isn't a step to skip if, after all the steps above, your computer is still not turning on completely. Since your computer powered on with only the essential hardware installed, those components must work properly. This means that one of the hardware components you removed is causing your PC to not turn on properly. By installing each device back into your PC and testing them each time, you'll eventually find the hardware that caused your problem. Test your computer's hardware using a Power On Self Test card. If your PC still isn't displaying information on your monitor with anything but essential computer hardware installed, a POST card will help identify which piece of remaining hardware is causing your computer to not come on completely. The average computer user doesn't have a collection of working spare computer parts at home or work. If you don't either, we advise you to revisit Step 12. A POST card is an inexpensive and more reasonable approach than stocking spare computer parts. Unfortunately, if you don't have a POST card or spare parts to swap in and out, you're left not knowing which piece of your essential PC hardware is faulty. In these cases, you have little option than to rely on the help of individuals or companies that do have these resources. Did we miss a troubleshooting step that helped you (or might help someone else) fix a computer that's not showing anything on screen? Let us know and we'd be happy to include the information here.